Nothing can be better than this. Career booster is a combination of XpressResume Plus and Right Resume service. Resume is the only tool which makes first impression on employers about you. Avail monster right resume service and double your chances. Top Placement consultants of India on monster panel. 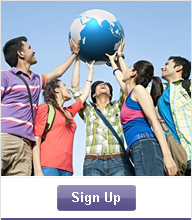 Take monster express resume benefit and reach them in just a click. Resume Highlighter gives you the edge you need to get noticed by employers. 24x7 Learning is India's premier Talent Lifecycle Management Company, providing eLearning services and offering Higher Education programs. We are all curious to learn about ourselves. Getting insight is valuable in gaining focus and planning for the future. Here are a complete range of personality, interest and competence tests, developed and scientifically validated by Central Test International.